Draft: 2009, Pittsburgh Pirates, 9th rd. Full name is Brock Wyatt Holt. He and his wife, Lakyn, had their 1st child (Griffin) in December 2016. Signed by Trevor Haley (Pirates). Hit .348 with 12 HR and 43 RBI in 59 games as a junior at Rice University in 2009...Led team with 67 R, 250 AB, and 11 SB (tied)...Named to All-NCAA Regional Team and All-Silver Glove Trophy Series Team. Played as a freshman and sophomore at Navarro College in Texas, where he was a 2-time First-Team All-Texas Eastern Athletic Conference SS. Graduated from Stephenville (TX) High School in 2006. 2018: In 109 games for the Red Sox, hit .277 (89- for-321) and set career highs with a .362 OBP, .411 SLG, and .774 OPS. Drove in a career-high 46 runs and matched his career high with 7 HR (also 2016). Played 6 different positions: 2B (56 games; 49 starts); SS (23, 19); RF (10, 4); 1B (7, 3); LF (6, 3); and 3B (5, 4). Committed just 1 error in 286 combined chances. The Red Sox went 75-34 (.688) in his 109 games played, including 59-25 (.702) in his starts. BOS went 6-1 in his 7 games with a HR...Won 12 straight games in which Holt homered (4/8/16-9/20/18) before a loss in his final game with a HR (9/29 vs. NYY). Accounted for both of the Sox' pinch-hit HR (8/14 at PHI and 9/11 vs. TOR)...According to Elias, became the 1st player in Red Sox history with multiple go-ahead pinch-hit HR in a single season...Went 5-for-13 (.385) with 5 XBH as a PH, recording 2 2B, 1 3B, and 2 HR...Was the 1st Red Sox hitter with a pinch-hit 3B and a pinch-hit HR in the same season since Cecil Cooper in 1975, and the only Red Sox hitter since at least 1974 to record a pinch-hit 2B, 3B, and HR. His 1.154 SLG and 1.621 OPS as a PH were the highest by a Red Sox hitter in a single season since at least 1974 (min. 15 PA). Finished 2nd among AL hitters with 7 pinch-hit RBI and tied for the ML lead with 3 game-winning RBI as a PH...His 3 game-winning pinch-hit RBI were the most by a Red Sox hitter since at least 1974. Drove in 8 go-ahead runs, 7 of which were game winners...Had 3 game-winning RBI in his final 14 games (9/11 vs. TOR, 9/15 vs. NYM, 9/24 vs. BAL). Hit .292 (19-for-65) with a .395 OBP vs. LHP. Posted a .304/.383/.441 batting line in 53 road games. With runners on base, hit .327 (48-for-147) with 10 2B, 2 3B, 4 HR, and a .939 OPS. His .394 Interleague AVG (13-for-33) led the AL and ranked 3rd in the majors (min. 30 AB)...Ranked 7th in the majors in Interleague OBP (.459), 4th in SLG (.727), and 2nd in OPS (1.187), trailing only Mike Trout (1.259). Hit .354 (17-for-48) with a .934 OPS in April...Ranked 4th in the AL in AVG during the month (min. 40 AB). Reached base in each of his first 16 starts of the year, extending his on-base streak in starts to a career-high 22 (beginning 9/16/17)...Hit safely in a season-high 11 straight starts from 4/14-5/13 (.419 AVG, 18-for-43). Went 1-for-16 in his first 7 games of the season, then batted .471 during a 9-game hitting streak from 4/14-26 (16-for-34, 5 R, 6 2B, 1 HR, 6 RBI). Doubled in 4 straight games from 4/22-26, tying a career-long streak (also 8/14-17/15). On 4/26 vs. TOR, was removed from the game due to left hamstring tightness after hitting a double in his 1st PA...Placed on the disabled list on 4/27 with a left hamstring strain...Appeared in 1 rehab game with Triple-A Pawtucket on 5/7 at Lehigh Valley, starting at SS and going 1-for-3. Reinstated from the DL on 5/8. Played his 500th career game on 7/12 vs. TOR, and appeared in his 500th game with the Red Sox on 8/19 vs. TB. Made his only error of the season on 8/2 vs. NYY, snapping a streak of 81 consecutive errorless games at 5 different positions (9/8/17-7/31/18, 62 starts). Homered twice over a 7-game hit streak from 8/9-15. In the Sox' 2-1 win at PHI on 8/14, broke a 1-1 tie in the 8th inning with a pinch-hit HR. On 8/29 vs. MIA, went 2-for-2 with a pinch-hit RBI triple...Was the 1st pinch-hit triple by a Red Sox hitter since Jeff Bailey on 9/24/08 vs. CLE. From 9/11 through the end of the season, hit .415/.478/.780/1.259 (17-for-41, 10 R, 3 2B, 4 HR, 12 RBI). Had a season-long 11-game hitting streak to finish the regular season (.417/15-for-36, 3 2B, 3 HR). On 9/11 vs. TOR, hit a game-winning, pinch-hit, 3-run HR, his 2nd pinch-hit HR of the season and the 3rd of his career...Became the first Red Sox hitter with multiple PH HR in the same season since Jonny Gomes in 2014 (2). Hit a game-winning, pinch-hit 2B on 9/15 vs. NYM... His 3rd go-ahead RBI as a PH tied Rick Miller in 1984 and Mike Stanley in 1997 for the most by a Red Sox hitter in a single season since at least 1974. Homered off Jacob deGrom on 9/16 vs. NYM...On 9/20 at NYY, hit a solo HR off Masahiro Tanaka in the Red Sox' division-clinching win. Tied a career high with his 7th HR on 9/29 vs. NYY... Was his 4th HR over a 13-game span after hitting 3 in his first 95 games of the season. POSTSEASON: Appeared in 8 games (6 starts) and posted a .259/.375/.519 batting line (7-for-27, 4 XBH, 6 RBI, 7 R, 4 BB)...Each of his 6 starts came at 2B. Made his 2018 postseason debut in Game 3 of the ALDS at Yankee Stadium and became the 1st player ever to hit for the cycle in a playoff game (see box below). In the Red Sox' 9-6, come-from-behind win at LAD in Game 4 of the World Series, went 1-for-2 with 2 BB and 2 runs scored...In the 9th inning, doubled and scored the run that broke a 4-4 tie. Named to his 3rd consecutive Opening Day roster with the Red Sox, but missed 75 games while on the disabled list with vertigo. Played in 64 games (37 starts), appearing at 2B (31 games, 17 starts), LF (10 games, 8 starts), 3B (9 games, 8 starts), 1B (2 games, 1 start), and RF (2 games, 1 start). The Red Sox went 23-14 (.648) in his starts. Went 3-for-9 with 2 2B in pinch-hit situations. Walked once every 8.63 PA (164 PA/19 BB), the best rate of his career. Walked in each of his first 4 games with a PA. In a 7-5 win at DET on 4/9, tied the game at 4-4 in the 8th inning with a pinch-hit, bases-loaded walk, the first of its type by a Red Sox hitter since 5/13/14 (Jonny Gomes at MIN)...Was his 1st career bases-loaded BB. Placed on the 10-day DL on 4/21 with vertigo. In 14 rehab games between Triple-A Pawtucket (13 G) and Double-A Portland (1 G) from 4/28-5/21, went 10-for-46 (.217) with 2 HR and 5 BB. Returned from his rehab on 5/23 (retro to 5/22) and transferred to the 60-day DL on 6/24. Began a 2nd rehab assignment on 7/1 and went 8-for-36 (.222) with 1 HR, 6 RBI, and 3 BB between the PawSox (7 G) and Sea Dogs (3 G). Activated from the 60-day DL on 7/16 and played in both games of the Sox' doubleheader vs. NYY that day. Remained with the ML club for the rest of the season. On 9/18 at BAL, came off the bench to record 2 hits, 2 R, and 2 RBI...His 2B was the 100th XBH of his career. POSTSEASON: Made the Red Sox' ALDS roster for the 2nd straight season and appeared in 1 game...Pinch ran for Dustin Pedroia in Game 2 and played 1 inning at 2B. Named to 2nd Opening Day roster of his career (also 2015)...Recorded a career-high 7 HR and appeared in 94 games at 5 defensive positions...Missed 37 games on the disabled list. BOS went 46-30 in his starts, including 13-2 from 4/13-5/5...Made starts in LF (55) and RF (2) and at 3B (11), 2B (4), and SS (4)...Recorded career highs in OF assists (6) and OF double plays (2), all of which came at Fenway Park. Hit 7 HR in only 94 games, after hitting 6 HR in his first 4 ML seasons from 2012-15 (285 games). For the 2nd consecutive year, selected as the Red Sox' nominee for the Roberto Clemente Award. Reached base via hit or BB in each of his first 16 games of the season (through 4/26)...The last Red Sox player with a longer such streak to begin a season was Dustin Pedroia (18 games in 2013)...Had reached base in a career-best 20 consecutive games dating back to the 2015 season. Started each of the Sox' first 3 games of the season in LF, going 6-for-12 with 2 HR, 7 RBI, and 3 R...Homered in back-to-back games (4/6 at CLE and 4/8 at TOR) for the 1st time in his career...His HR on 4/6 snapped a homerless drought of 308 AB (1st since 6/16/15 vs. ATL). Hit his 1st career grand slam (off Jesse Chavez) and set a career high with 5 RBI on 4/8 at TOR, leading the Sox to an 8-7 comeback win after they trailed, 7-2. In the Sox' 7-5 win at HOU on 4/24 (12 inn. ), became only the 2nd Red Sox in the last 100 years to record at least 1 hit, 1 BB, 1 sac bunt, 1 sac fly, and 1 run scored in a game (Milt Bolling accomplished the feat on 9/29/56 at NYY). Placed on the 7-day concussion DL on 5/20 (retro to 5/19)...Transferred to 15-day DL on 6/2...In 8 rehab games with Triple-A Pawtucket, went 8-for-25 (.320) with 2 R, 2 2B, 5 BB, and a .433 OBP...Activated from the DL on 7/1. Hit safely in each of his first 9 games after returning from the DL (7/1-20), batting .387 (12-for-31, 5 2B, 2 HR) with a 1.183 OPS in that time...Posted a .356 OBP in July. Drove in the winning run in the Sox' 3-2, 11-inning win at SEA on 8/4, singling home Travis Shaw to break a 2-2 tie. Batted .423 (11-for-26) with 4 2B during a 9-game span from 8/17-31. Hit his 1st career pinch-hit HR on 9/7 at SD (off Leonel Campos), a solo shot in the 9th inning. POSTSEASON: Started each of the Red Sox' 3 ALDS games at 3B...Led the club with 4 hits in the series...Went 3-for-4 with a HR and a double in Game 1, becoming the 5th Red Sox ever with 3+ hits in a postseason debut...Also became the 3rd player in franchise history with 7+ total bases in his 1st career postseason game. Represented the Red Sox at the All-Star Game in CIN, his 1st career selection. Started at 2B (49), 3B (24), RF (20), LF (8), SS (7), 1B (5), and CF (2)...Became the 1st Red Sox to appear at all 7 of those defensive positions in back-to-back seasons (also 2014)...Also started 1 game as the DH. Led MLB with a .423 AVG with RISP after the All-Star break (22-for-52). Hit .312 with a .394 OBP vs. LHP (34-for-109, 15 BB), both the highest marks among AL left-handed batters. Posted a .419 OBP as a 3B, the highest mark in the majors at the position (min. 100 PA)...His .330 AVG (30-for-91) as a 3B led the AL and ranked 3rd in MLB. Ranked 7th in the majors with a .340 AVG in day games (54-for-159), as well as 13th with a .414 OBP in day games. Ranked 10th in the majors in Interleague AVG (.377) and OBP (.443), going 23-for-61 against NL opponents. Hit a game-winning, 2-out, 3-run HR in the 8th inning of the Sox' win at BAL on 4/24. Reached base in all 5 PA on 4/26 at BAL, going 2-for-2 with 3 BB. Reached base safely in a career-best 18 consecutive games from 6/5-24...Hit .348 with a .451 OBP and .580 SLG during that stretch (24-for-69, 7 2B, 3 3B, HR, 13 R, 8 RBI, 13 BB). Hit for the cycle on 6/16 vs. ATL...Doubled in the 1st inning, singled in the 5th, homered in the 7th, and tripled in the 8th...Was the 20th Red Sox with a cycle (21st time), 1st since John Valentin on 6/6/96 vs. CWS... Was the 7th player and 1st Red Sox to hit an Interleague cycle...Joined Hall of Famer Bobby Doerr (1944, 1947) as the only Red Sox ever to hit for the cycle as a 2B...Also joined Leon Culberson (1943) as the only Sox leadoff hitters ever to hit for the cycle (Source: Elias)...Became the 1st Red Sox to complete a cycle with a triple since Fred Lynn on 5/13/80 vs. MIN. Started at 1B on 6/24 vs. BAL but moved to LF in the 6th inning and to 2B in the 7th...Played at least 3 positions in a single game for the 1st time in his career and became the 1st major leaguer to appear at 1B, 2B, and LF in the same game since Lou Merloni did it on 7/20/04 with CLE. Made 15 straight starts at 2B from 6/25-7/12. Ranked 9th in the AL with a .379 OBP before the All-Star break. Selected to the All-Star Team as an INF by AL manager Ned Yost...In the exhibition on 7/14 in CIN, entered as a pinch-runner in the 7th inning and went on to play LF...Replaced Mike Trout at 1B, stole 2B, and scored on a Manny Machado double...Became only the 3rd player in All-Star Game history to enter as a pinch-runner, steal a base, and score a run, all in the same inning (also George Hendrick in 1975 and Maury Wills in 1962)... Was the 1st player ever to attempt a SB against STL's Yadier Molina in an All-Star Game. Was the 1st player ever to be named an All-Star after appearing at 1B, 2B, 3B, SS, LF, CF, and RF prior to the All-Star break...The only others to ever play at 7 or more positions at any point during an All-Star season are Cookie Rojas (1965) and Ben Zobrist (2009). Made his 1st career start as a DH on 10/3 at CLE...Was removed from the game with a left knee contusion after being hit by a pitch in the 7th inning. Led the Red Sox (min. 250 PA) with a .281 AVG in 106 games...Earned Red Sox Rookie of the Year honors from the Boston Baseball Writers...Took over as Red Sox leadoff hitter on 5/23 and batted 1st in 93 of Boston's next 94 games before missing time in September...Reached base safely via hit, walk, or HBP in 79 of his team-high 93 games as leadoff hitter (85%)...Started at 7 different defensive positions: 3B (39 G/37 GS), RF (35 G/28 GS), SS (12 G/11 GS), 2B (11 G/7 GS), CF (10 G/7 GS), 1B (8 G/8 GS), and LF (8 G/7 GS)...Before the season had never played professionally at any position other than 2B, 3B, and SS...Was the 1st Red Sox player ever to start at 1B, 2B, 3B, SS, LF, RF, and CF in a single season, the only major leaguer to accomplish the feat in 2014...According to Elias, was the 1st ML rookie to do it since Possum Whitted for the 1913 Cardinals...Topped the team with 12 SB and 5 3B...Ranked 2nd on the club with 68 runs, 4 behind Dustin Pedroia (72)...Boston went 30-24 when he scored...Placed among AL rookie leaders in AVG (3rd), runs (3rd), multi-hit games (3rd, 36), SB (3rd), hits (5th, 126), total bases (5th, 171), 2B (5th, 23), 3B (T-4th, 5), BB (6th, 33), XBH (7th, 32), OBP (6th, .331), and SLG (9th, .381)...Led the AL (4th in MLB) with a .349 AVG (29-for-83) in close and late situations...Hit .315 (45-for-143) in the 7th inning or later...Hit .355 (43-for-121) in day games, 2nd best in the AL (min. 100 PA)...Batted .293 (48-for-164) against left-handed pitching, 5th among AL left-handed batters (min. 150 AB vs. LHP)...Began the season with Triple-A Pawtucket, where he hit .315 (34-for-108) in 27 games...Was recalled for one game on 4/6 when Will Middlebrooks went on the DL (did not play)...Optioned back to the PawSox the next day when Ryan Roberts was signed...Recalled on 4/18 and started all 7 games at 3B during his 2nd ML stint of the season (.348, 8-for-23)...Optioned to Triple-A when Middlebrooks returned from the DL on 4/25...Recalled on 5/17 and played in 99 of the Red Sox' next 100 games through 9/5 (98 starts)...Installed as Sox' leadoff hitter on 5/23...From that point through 7/23, led MLB with 77 hits in 54 games...Hit 1st career HR on 5/31 vs. TB in the 3rd inning off Jake Odorizzi...Went 4-for-4, 4 2B, BB from the leadoff spot on 6/1 vs. TB, his 1st pro start and appearance at 1B...His 4 2B tied the MLB single-game record for the 1st time since BOS' Victor Martinez on 6/1/10 vs. OAK...Was the 6th Red Sox ever with a 4-2B game...According to Elias, was just the 2nd major leaguer since 1900 to go 4-for-4 or better with 4 doubles from the leadoff spot (also PHI's Denny Sothern on 6/6/30 vs. CIN, 5-for-5, 4 2B)...Topped the Red Sox with a .322 AVG (38-for-118), 10 2B (T-2nd in AL), and 12 XBH in June...Hit a walk-off single with 1 out in the 9th inning on 7/9 vs. CWS off Javy Guerra, scoring Daniel Nava from 2B to give the Sox a 5-4 win...Was his 1st career walk-off RBI...Came in his 1st career ML start at SS...Set a career-high in hits going 5-for-6 on 7/13 at HOU, the first 5-hit game by a Red Sox since Dustin Pedroia went 5-for-5 on 6/24/10 at COL...Hit his 1st career leadoff homer off Brad Peacock...Was leading club qualifiers with a .327 AVG (84-for-257) at the All-Star break (7th in AL)...Had a career-high 12-game hit streak from 8/6-18 (.302, 16-for-53, 2 2B, 3 RBI, 11 R, 6 BB), the longest by a Red Sox all season and 4th longest by an AL rookie...His 12 starts during the streak, from beginning to end, came at 3B, RF, CF, CF, RF, CF, 2B, SS, RF, 3B, 2B, RF...Was held out of Boston's last 21 games of the season beginning on 9/6 due to concussion symptoms. Spent most of the season with Triple-A Pawtucket in 1st year in the Red Sox organization… Also appeared in 26 games in 3 ML stints with Boston. Hit safely in 11 of 19 ML games with an AB. All 17 starts with BOS came at 3B...Overall, played 20 games at 3B and also appeared in 5 games at 2B. Had a hit in a career-high 10 straight starts from 7/7-8/1 at .297 (11-for-37)...Included a season-high 8-game hit streak from 7/7-14, tied for his career long (also 9/4-12/12 with PIT). Totaled 10 RBI in his 1st 13 games with the Red Sox through 8/2 after entering the season with 3 RBI in 23 career ML games. Recalled for 1st stint with the Red Sox on 7/6...Hit .290 (9-for-31) with 8 RBI in 10 games before 7/20 option back to Pawtucket. Returned to BOS on 7/31 after Jose Iglesias was traded to DET on 7/30 as part of a 3-team, 7-player deal... Optioned to Triple-A on 8/18 after going 3-for-28 in 12 ML games. Appeared in 3 games without a PA after 9/17 recall...Ended the year in an 0-for-13 slide at the big league level. Spent the majority of the year with Triple-A Pawtucket, with 83 regular-season games between 2B (44 G), SS (32 G), and his 1st pro experience at 3B (7 G). Had a .258 AVG (75-for-291) with 6 doubles, 3 homers, and 24 RBI for the PawSox. Hit .290 (65-for-224) in his last 63 games with Pawtucket after going 10-for-67 (.149) in 20 April games to begin the season. From 5/1 until his 1st recall on 7/6, hit .315 (45-for-143) with a .381 OBP in 41 games. Hit safely in 15 consecutive Triple-A games from 5/23-6/8, with a .446 AVG (25-for-56) and 8 multi-hit games in that stretch...Matched the longest hit streak by a PawSox in 2013 (also Jackie Bradley Jr. from 4/30-6/14). Led Pawtucket with 5 RBI and 35 AB in the International League playoffs, batting .171 (6 H)...Delivered game-winning, 2-run, 8th-inning single in Game 1 of the Governors' Cup Finals at Durham (TB) on 9/10. Hit a combined .344 (164-for-477) with 31 doubles, six triples, three HR, 50 RBI and 16 stolen bases in 126 games between Double-A Altoona and Triple-A Indianapolis...Became the second straightmember of the Curve (also Starling Marte) to win the Eastern League batting title...Was named to both the Eastern League mid- and post-season All-Star teams...Reached base safely in his first 10games from 4/5-16...Finished the month of April with a .290 average...Homered on 5/2 at Erie...Went two straight games without a hit on 5/5 and 5/6, but did not have back-to-back hitless gamesfor the remainder of his time with the Curve...Went 15-for-39 (.385) during a 10-game hitting streak from 5/18-27...Reached base safely in 22 straight games from 6/2-22, hitting .383 with sevendoubles, one triple, 16 RBI and 11 walks...Batted .375 in 26 games during the month of June...Went 1-for-2 in Eastern League All-Star Game on 7/11...Hit .326 (31-for-95) in July - his final fullmonth at the Double-A level...Was promoted to Triple-A on 8/7...Hit .432 in August with Indianapolis; the highest average of any Triple-A player in the minor leagues...Hit lone homer with Indianapolison 8/17...Had four straight three-hit games from 8/27-30...Was selected by Pittsburgh on 9/1...Made Major League debut as a pinch hitter on 9/1 at Milwaukee; walked and eventually came aroundto score...Singled off Milwaukee's Yovani Gallardo for first big league hit while going 2-for-4 in first career start at second base on 9/2 at Milwaukee...Made 11 straight starts at second base from9/2-14 and went 16-for-49 (.327) with two doubles, a triple and three RBI...Went 4-for-5 with two runs scored on 9/4 vs. Houston; became only the second Pittsburgh player since 1900 to have afour-hit game within his first four career games in the Majors (Jack Merson also went 4-for-5 in his second career game against the Dodgers on 9/15/51)...Went 3-for-21 in his final 13 games. Was named the MVP at the Eastern League mid-season All-Star Game...Ranked 3rd in the Eastern League in triples...Hit .240 with three RBI in eight games with Mesa in the Arizona Fall League. Was named to the Florida State League mid-season All-Star team...Hit .383 with 15 RBI during the month of April...Hit safely in 18 straight games from 5/7-26...Hit safely in 24 of his 27 starts...Tore his MCL in his left leg on 6/5 and missed the rest of the season. Hit .348 (87-for-250) with 12 home runs (second on team) and 43 RBI in 59 games as a junior in 2009 at Rice...Also led team with 67 runs scored and at bats...Shared team lead in stolen bases (11)...Was named to All-NCAA Regional Team and All-Silver Glove Trophy Series Team....Served as the team's leadoff hitter in all 57 starts...Hit .375 for the Owls during the NCCA Tournament...Was named to All-NCAA Regional Team and All-Silver Glove Trophy Series Team...Was his first and only season at Rice after transferring from Navarro College...Ranked 3rd in the New York-Penn League in hits...Finished 2nd among Pirates farmhands in batting average. April 16, 2019 Boston Red Sox sent 2B Brock Holt on a rehab assignment to Pawtucket Red Sox. April 6, 2019 Boston Red Sox placed 2B Brock Holt on the 10-day injured list. Right eye scratched cornea. May 8, 2018 Boston Red Sox activated 2B Brock Holt from the 10-day injured list. May 7, 2018 Boston Red Sox sent SS Brock Holt on a rehab assignment to Pawtucket Red Sox. April 27, 2018 Boston Red Sox placed SS Brock Holt on the 10-day disabled list. Left hamstring strain. July 16, 2017 Boston Red Sox activated 2B Brock Holt from the 60-day disabled list. July 8, 2017 Boston Red Sox sent LF Brock Holt on a rehab assignment to Pawtucket Red Sox. July 5, 2017 Boston Red Sox sent LF Brock Holt on a rehab assignment to Portland Sea Dogs. July 1, 2017 Boston Red Sox sent LF Brock Holt on a rehab assignment to Pawtucket Red Sox. June 24, 2017 Boston Red Sox transferred LF Brock Holt from the 10-day disabled list to the 60-day disabled list. Vertigo. May 8, 2017 Boston Red Sox sent LF Brock Holt on a rehab assignment to Pawtucket Red Sox. May 6, 2017 Boston Red Sox sent LF Brock Holt on a rehab assignment to Portland Sea Dogs. April 28, 2017 Boston Red Sox sent LF Brock Holt on a rehab assignment to Pawtucket Red Sox. April 21, 2017 Boston Red Sox placed LF Brock Holt on the 10-day disabled list. Vertigo. July 1, 2016 Boston Red Sox activated LF Brock Holt from the 15-day disabled list. June 20, 2016 Boston Red Sox sent OF Brock Holt on a rehab assignment to Pawtucket Red Sox. May 17, 2014 Boston Red Sox recalled 2B Brock Holt from Pawtucket Red Sox. April 25, 2014 Boston Red Sox optioned 3B Brock Holt to Pawtucket Red Sox. April 18, 2014 Boston Red Sox recalled Brock Holt from Pawtucket Red Sox. April 7, 2014 Boston Red Sox optioned 3B Brock Holt to Pawtucket Red Sox. April 6, 2014 Boston Red Sox recalled Brock Holt from Pawtucket Red Sox. March 20, 2014 Boston Red Sox optioned 3B Brock Holt to Pawtucket Red Sox. November 1, 2013 Brock Holt roster status changed by Boston Red Sox. October 4, 2013 Boston Red Sox reassigned 3B Brock Holt to the minor leagues. September 17, 2013 Boston Red Sox recalled 2B Brock Holt from Pawtucket Red Sox. August 19, 2013 Boston Red Sox optioned Brock Holt to Pawtucket Red Sox. July 31, 2013 Boston Red Sox recalled Brock Holt from Pawtucket Red Sox. July 20, 2013 Boston Red Sox optioned Brock Holt to Pawtucket Red Sox. July 6, 2013 Boston Red Sox recalled Brock Holt from Pawtucket Red Sox. March 27, 2013 Boston Red Sox optioned Brock Holt to Pawtucket Red Sox. September 1, 2012 Pittsburgh Pirates selected the contract of Brock Holt from Indianapolis Indians. August 7, 2012 Brock Holt assigned to Indianapolis Indians from Altoona Curve. March 8, 2012 2B Brock Holt assigned to Pittsburgh Pirates. April 2, 2011 Brock Holt assigned to Altoona Curve from Bradenton Marauders. March 12, 2011 SS Brock Holt assigned to Pittsburgh Pirates. September 19, 2010 Brock Holt roster status changed by Bradenton Marauders. June 8, 2010 Bradenton Marauders placed SS Brock Holt on the 7-day disabled list. Left hamstring injury. April 16, 2010 SS Brock Holt assigned to Bradenton Marauders from State College Spikes. March 20, 2010 SS Brock Holt assigned to Pittsburgh Pirates. June 22, 2009 Brock Holt roster status changed by State College Spikes. 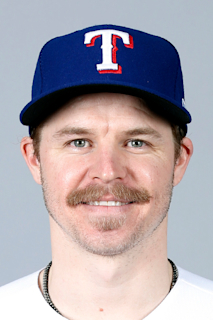 June 19, 2009 2B Brock Holt assigned to State College Spikes from Pittsburgh Pirates. June 17, 2009 Pittsburgh Pirates signed Brock Holt.